What a great day! 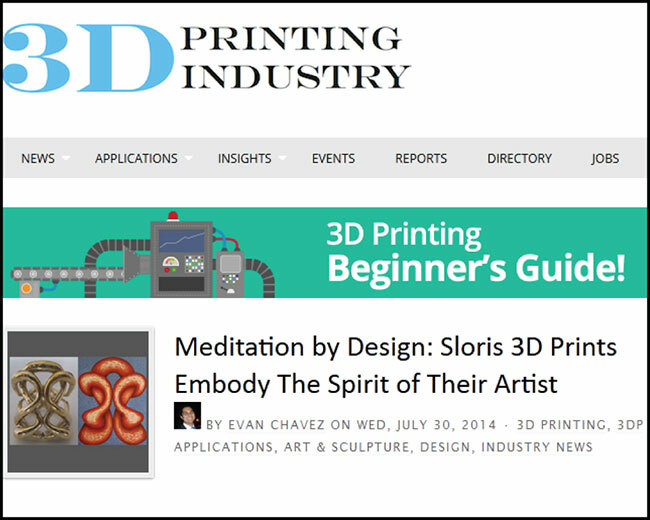 I woke up this morning to find Evan Chavez wrote an incredible article for www.3Dprintingindustry.com about me and Sloris. 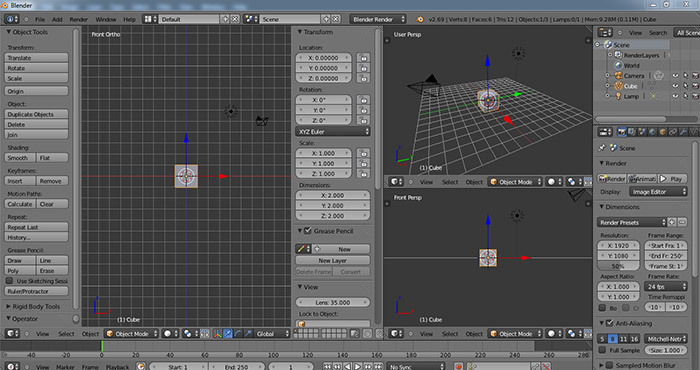 And then, as if that wasn’t great enough, 3DPrintWise posted a blog I wrote for them. Both couldn’t have come at a better time. As an oil painter, I exhibit. The fact that a gallery is willing to hang my pieces and promote my work is a huge compliment. Additionally, it’s a great opportunity to get feedback. At an opening, almost everyone has an opinion. It often says as much about them as the art itself, which is both useful and interesting. But after, when things settle down, I visit the gallery and eavesdrop. I love hearing what people have to say, unfiltered. My 3D designs go out into the world and I do receive feedback, but until this point, nothing equivalent to an exhibition. My art is what it is, and I wouldn’t be satisfied if I changed it to please others. That said, there’s nothing like a pat on the back (or two) to boost spirits. www.3Dprintingindustry.com is one of the most comprehensive and professional media bureaus in the industry. They cover everything from 3D printing projects costing hundreds of millions of dollars to startups like Sloris. 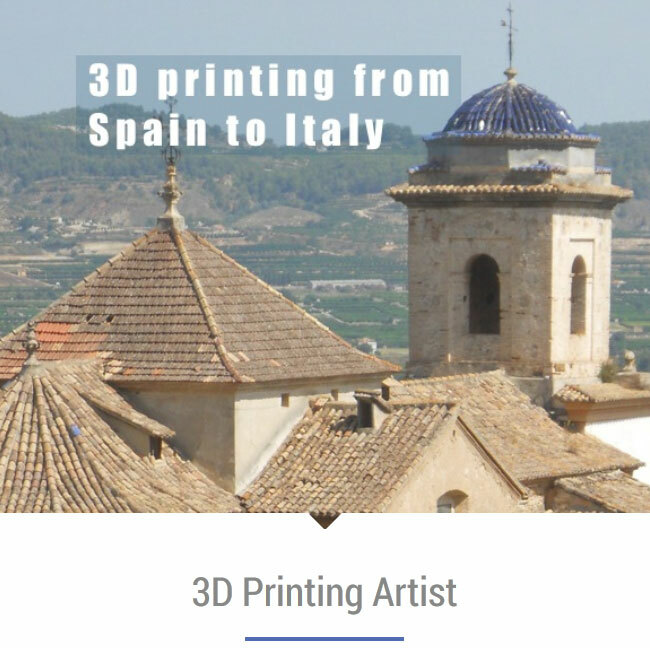 www.3Dprintwise.com offers unique insight into the industry. 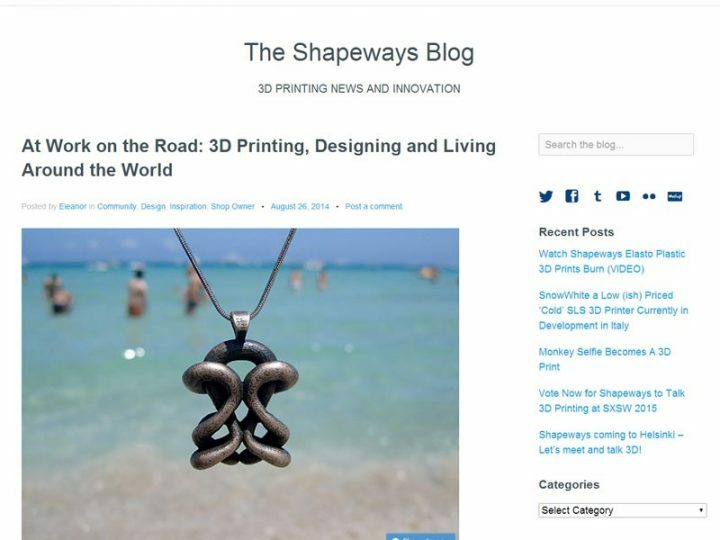 They post helpful articles like 3D Printing Favorites, which is especially good for those new to the trade and funny commentaries like 3D Printed Humor that make for a great break from the daily grind. I had been planning to go to the beach today, which is one of my all-time favorite places to be, but things just weren’t falling into place. I have to say, this was a great day to stay home.